Did you say freedom of expression? On 7, 8 and 9 January, Paris and its suburbs were the scene of acts of extreme violence in which ten people were killed. The impact on France has been considerable. Historians, political scientists and sociologists will long debate how young Frenchmen or women, with chaotic and unsatisfactory lives and belonging to social groups that have faced every kind of discrimination, have come to murder in cold blood journalists, police officers and employees or clients of a kosher grocery. The various paths leading to these events and their consequences, have yet to be fully investigated. Some no doubt lead to Daech (as ISIS is commonly known in France) and its leadership, which can be traced back to the Ba’athist army and bureaucracy in Iraq, and whose policy – if indeed it has one – is evidently to punish the West. Others lead to the social conditions that have prompted these young people to be fascinated with the violence present in various media, and to be so susceptible to indoctrination that leads them to kill and be killed in turn. There is also the acute suffering of the Palestinians whose fundamental human rights are being violated on a daily basis. The crisis they face is almost beyond words. A report recently published by the Association of Israeli and Palestinian Physicians for Human Rights confirms that the Israeli military attacked civilian and military targets indiscriminately in their assault on the Gaza Strip last summer, and that more than 70 per cent of the casualties were civilians. Nearly 2,200 Palestinians were killed and more than 10,000 were injured, not to mention the wholesale destruction of houses, schools and hospitals. Among the civilians killed were 17 journalists. Leggi tutto: Did you say freedom of expression? Your editorial (Netanyahu’s alarmist appeal to Europe’s Jews, 16 February) was spot on in disparaging Benyamin Netanyahu’s appeal to Europe’s Jews to find safety by immigrating to Israel. There is a self-interested purpose to Netanyahu’s crass attempt to reignite fear of European anti-Semitism, which is to obscure the close correlation between Israeli attacks on Gaza and the big spikes in anti-Semitic incidents in Europe. È un ritornello ben stabilito. Criticate Israele ed il sionismo ? Siete antisemiti ! Un ebreo francese vuole poter «vivere il suo ebraismo»? Lo si invita a fare la sua «alyah» ed a apportare la sua pietra alla colonizzazione della Palestina. 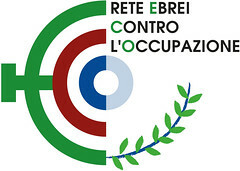 I dirigenti delle Comunità Ebraiche di cui Eleonora Martini raccoglie qui le opinioni dimenticano che gli Ebrei che hanno occupato la Palestina cacciandone gli abitanti Palestinesi, ed opprimendoli in modo indegno di persone civili negli ultimi 67 anni ( ma l'oppressione era iniziata anche prima, sotto la responsabilità britannica), ed hanno fondato lo Stato Ebraico, Israele, hanno commesso e continuano a commettere gravi delitti contro i diritti umani, civili e politici dei Palestinesi. I quali Palestinesi non hanno alcuna responsabilità della Shoah, che è un crimine tutto europeo, commesso da europei contro europei. Ai Palestinesi gli Europei, gli Americani USA e Israele sono debitori di riparazioni per l'espropriazione della loro Terra. Impossibile invece compensare le vite umane massacrate, che non sono monetizzabili: è richiesto però che gli ebrei, e gli occidentali che li hanno sempre appoggiati, in Israele ed in tutto il mondo, si scusino in modo concreto dei loro delitti: mostrando un volto amico e collaborativo nel risolvere il problema della coabitazione in Palestina, mostrando di abolire il disprezzo umano e la arrogante ingiustizia. "Jews for Justice for Palestinians is a network of Jews who are British or live in Britain, practising and secular, Zionist and not. We oppose Israeli policies that undermine the livelihoods, human, civil and political rights of the Palestinian people"